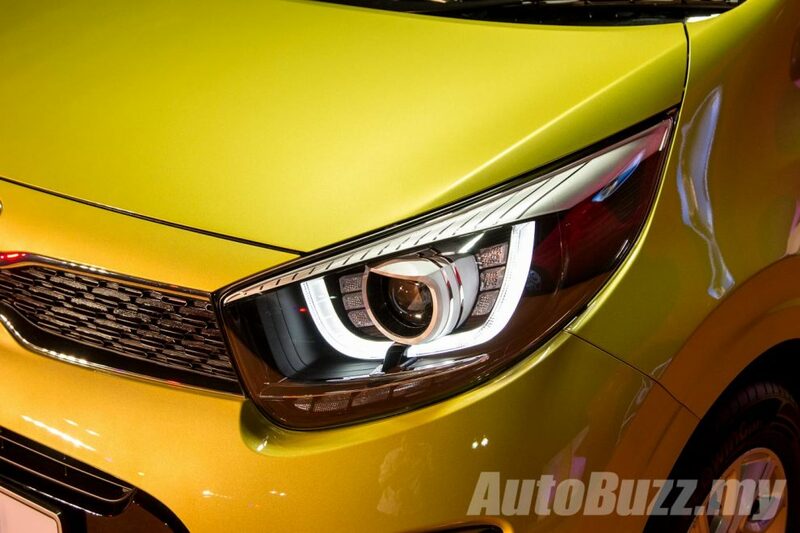 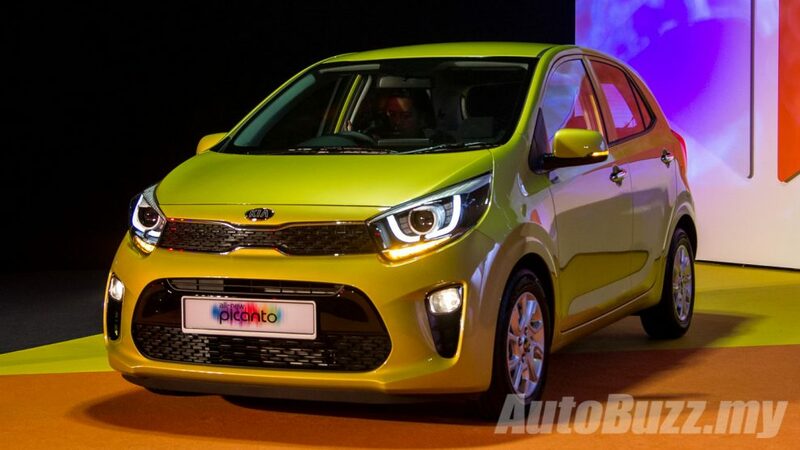 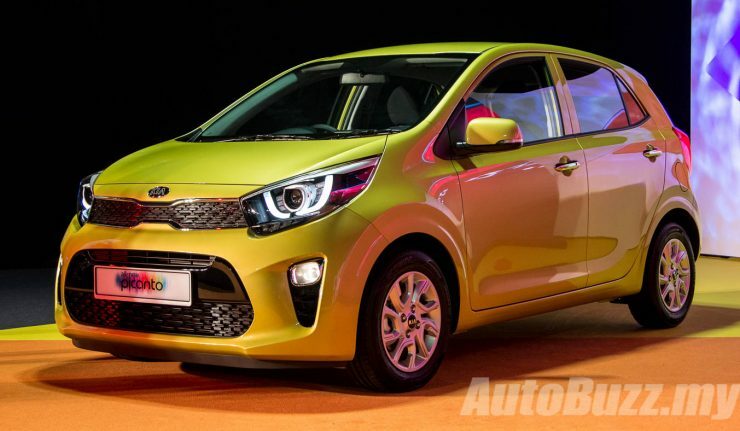 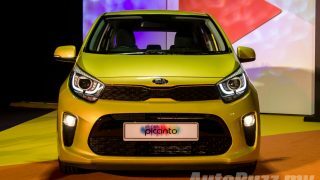 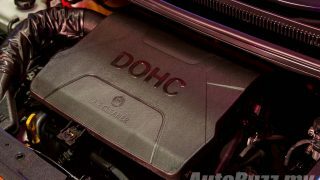 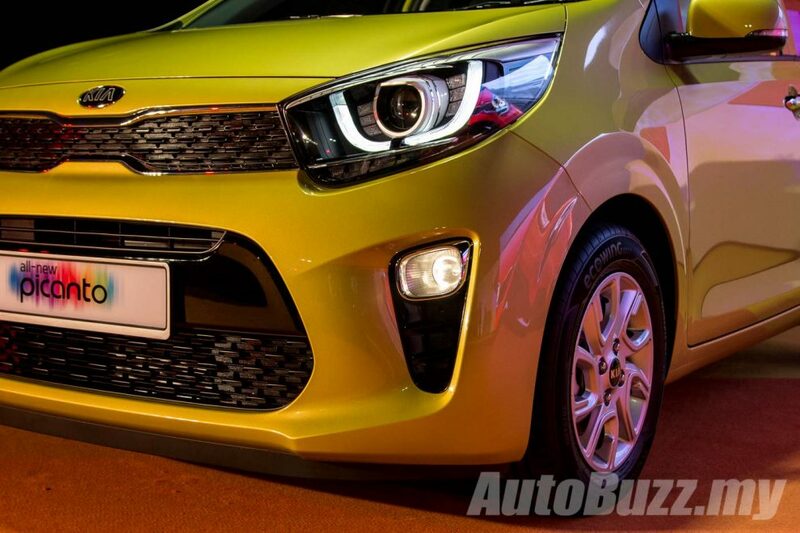 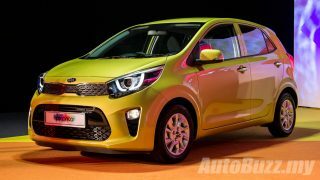 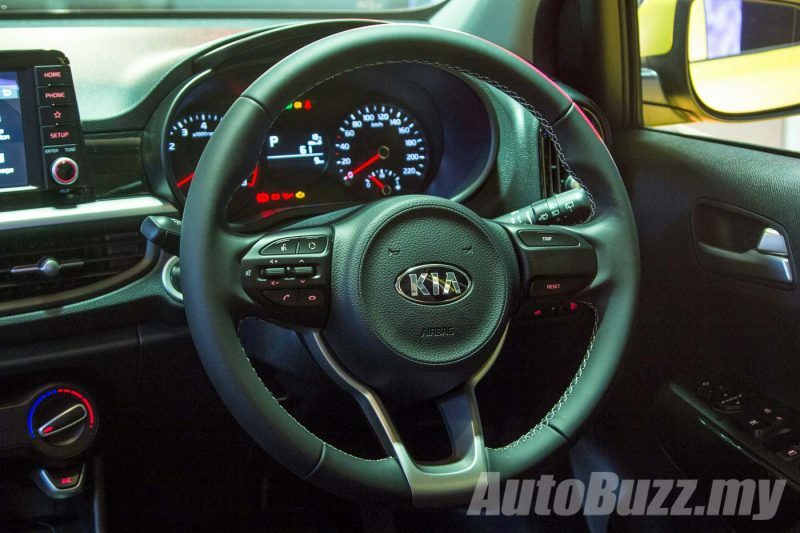 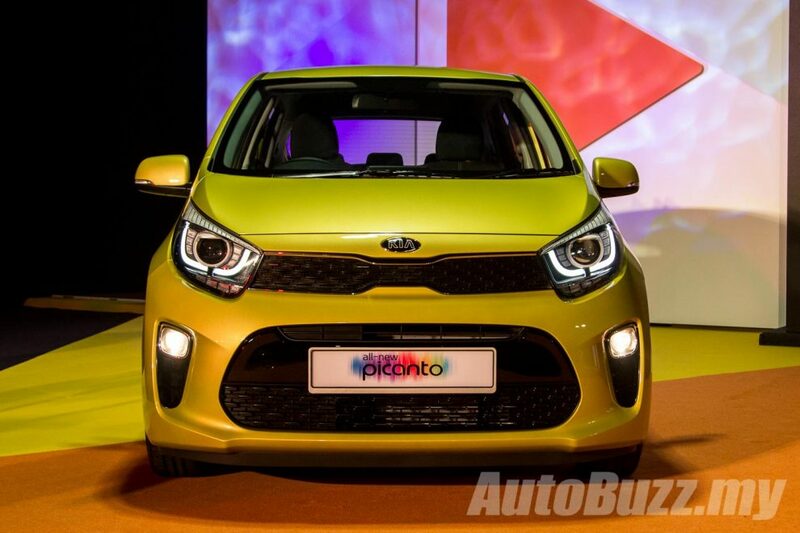 Naza Kia Malaysia has just launched the 2018 all-new third-generation Kia Picanto, one of the most highly-anticipated hatchbacks in the A-segment. 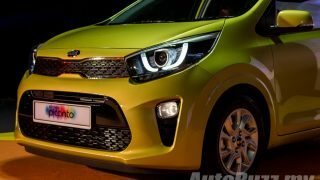 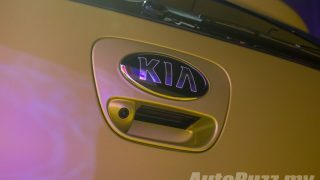 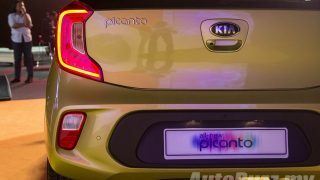 “We are confident that with this latest addition to the local Kia line-up, we will be able to achieve the Kia Picanto’s sales target of 5,000 units. 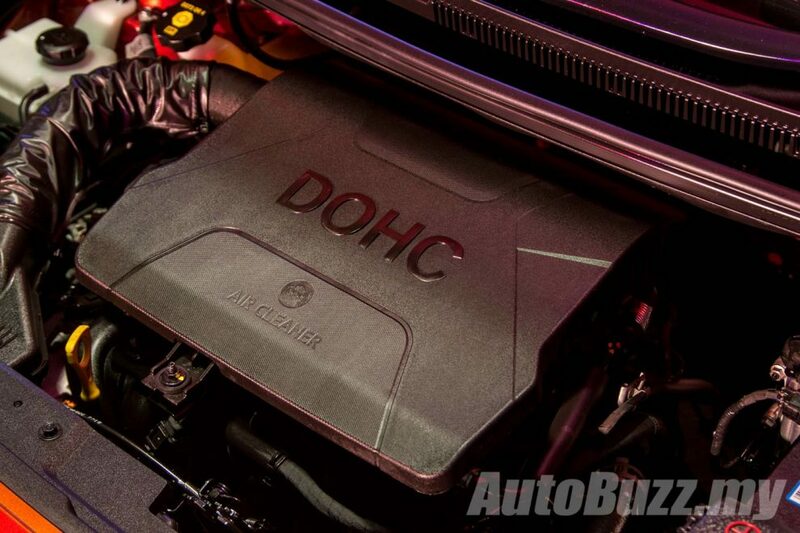 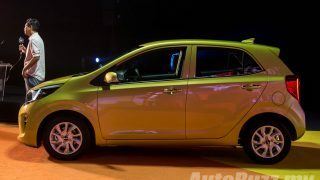 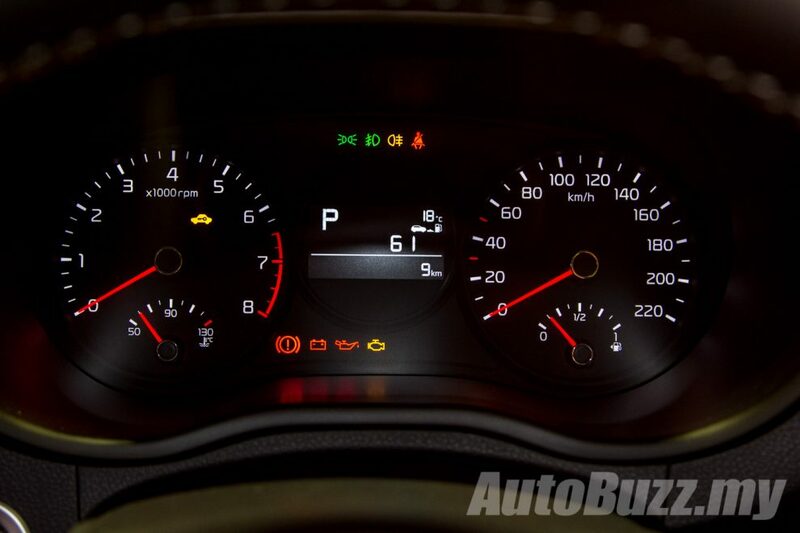 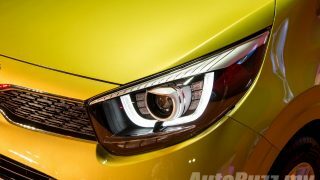 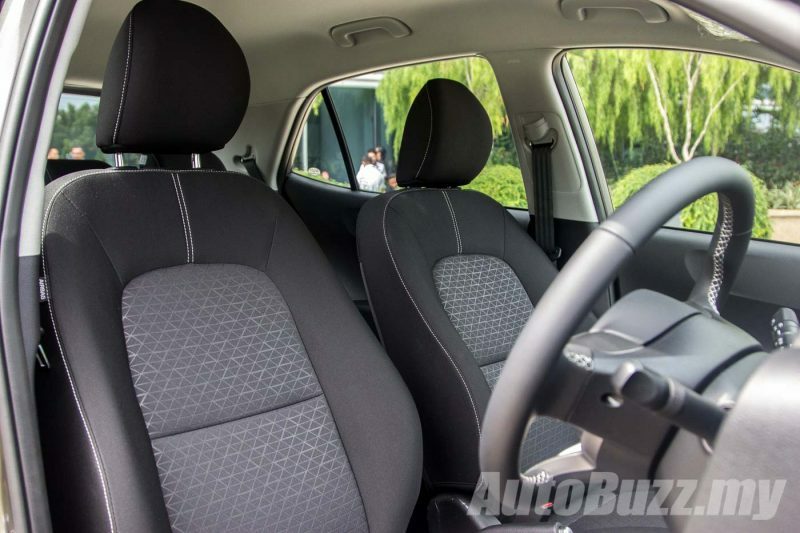 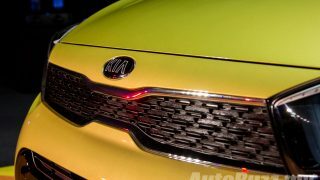 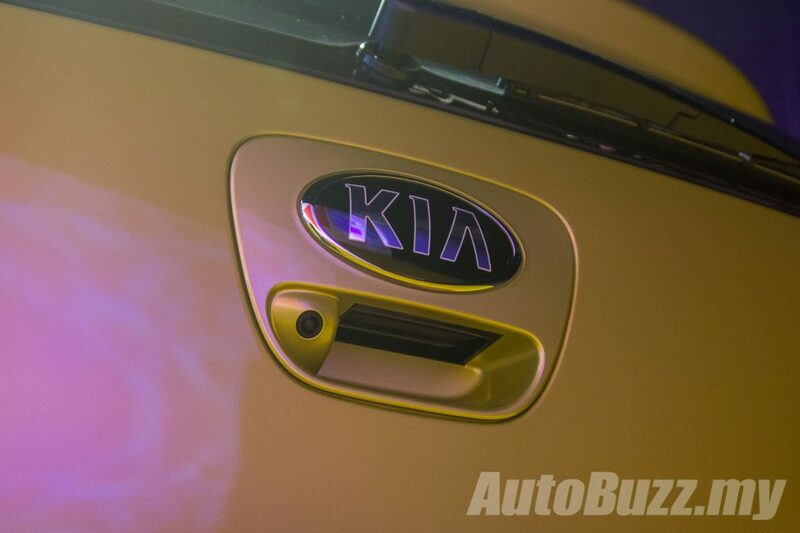 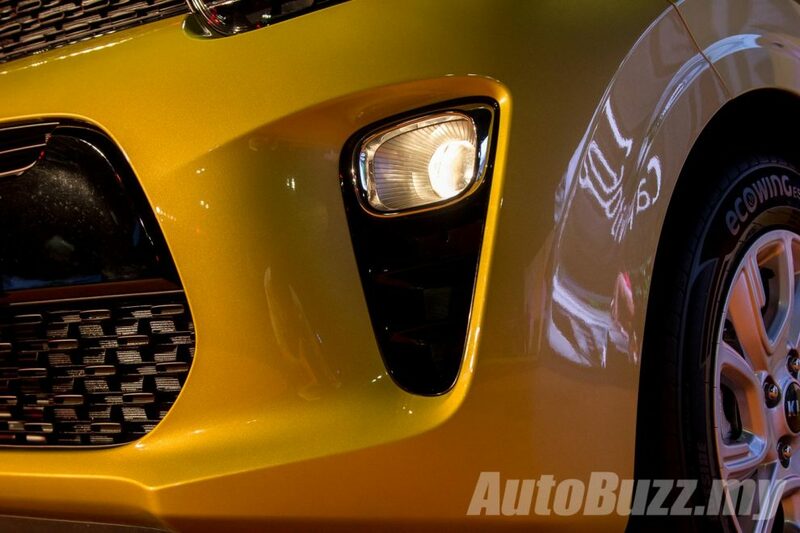 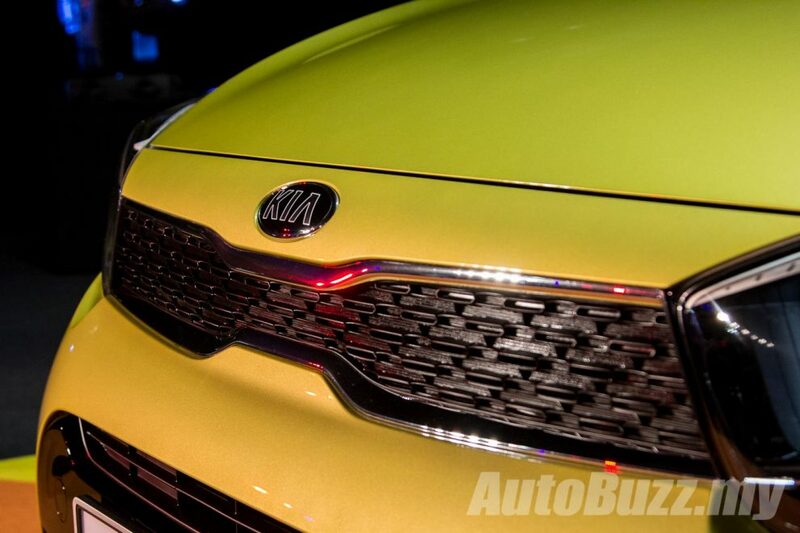 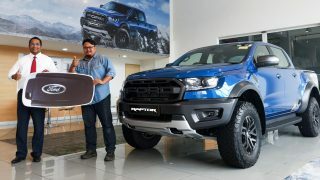 This model is important as it would account for 50% of Naza Kia’s total sales target for 2018,” said Naza Corporation Holdings, Group CEO, Automotive Group, Dato’ Samson Anand George. 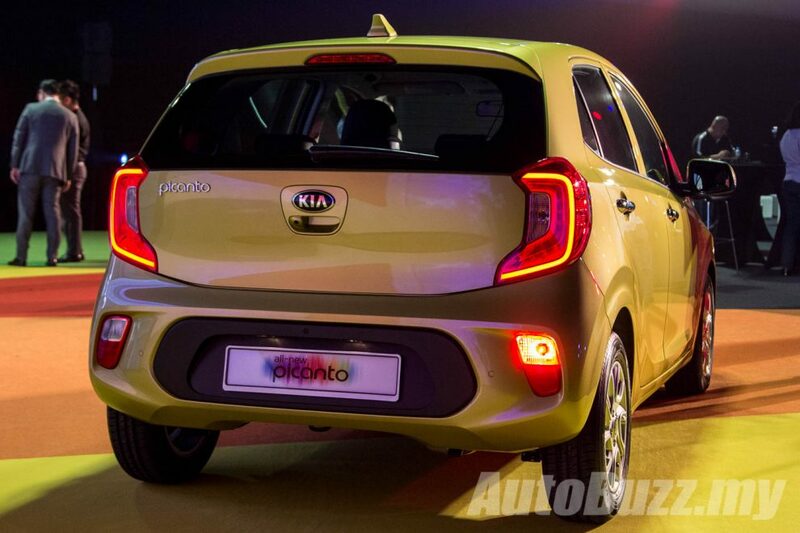 The Picanto is available in a single variant, the 1.2-litre EX – with 84 hp and 121 Nm at its disposal. 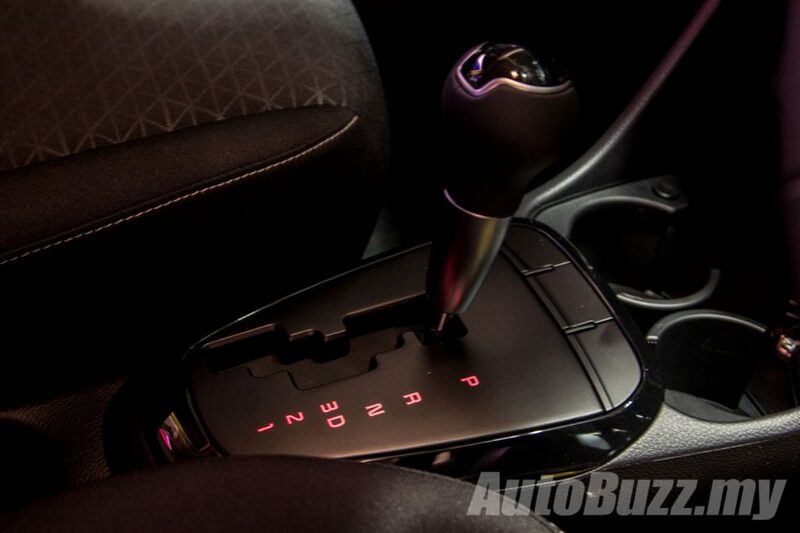 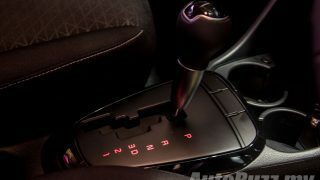 Power is delivered through a gated 4-speed automatic. 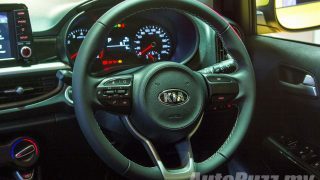 You get ventilated discs in the front and a solid pair at the back – all tucked beneath a set of 14-inch wheels. 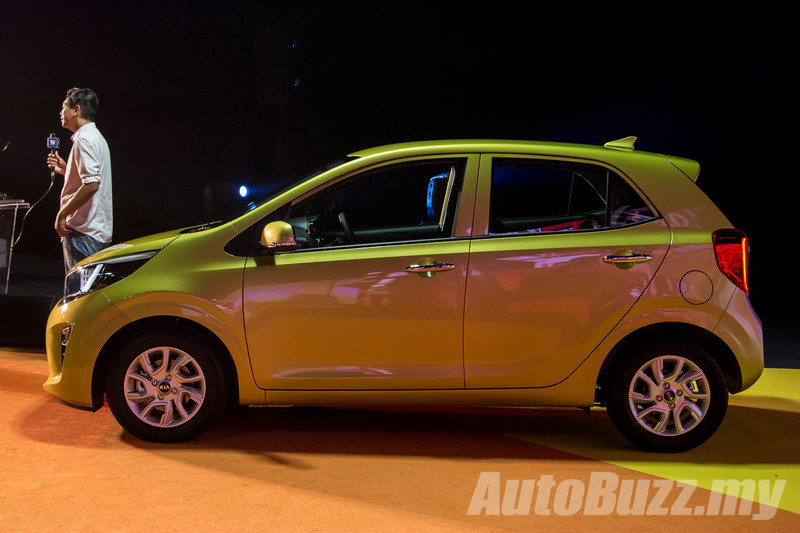 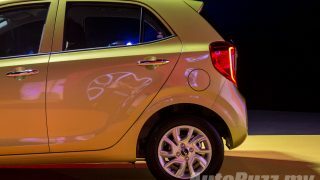 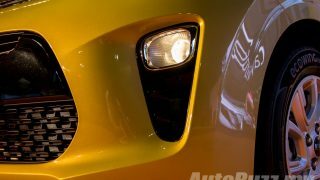 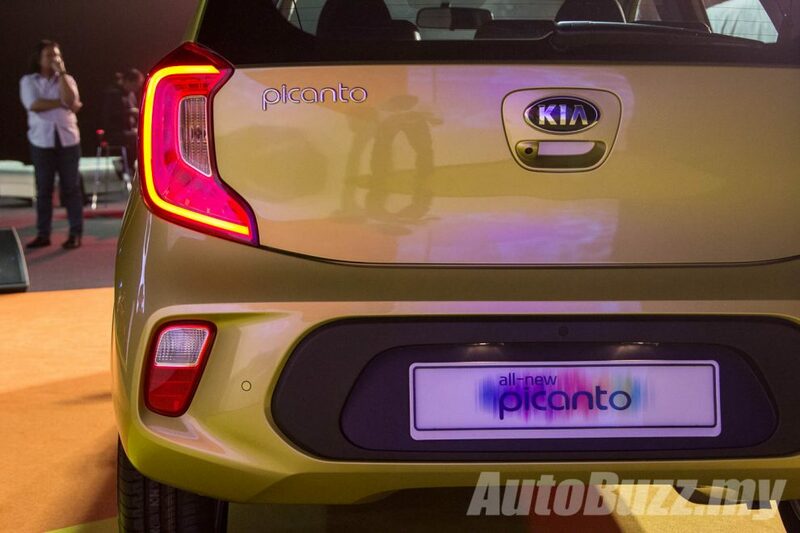 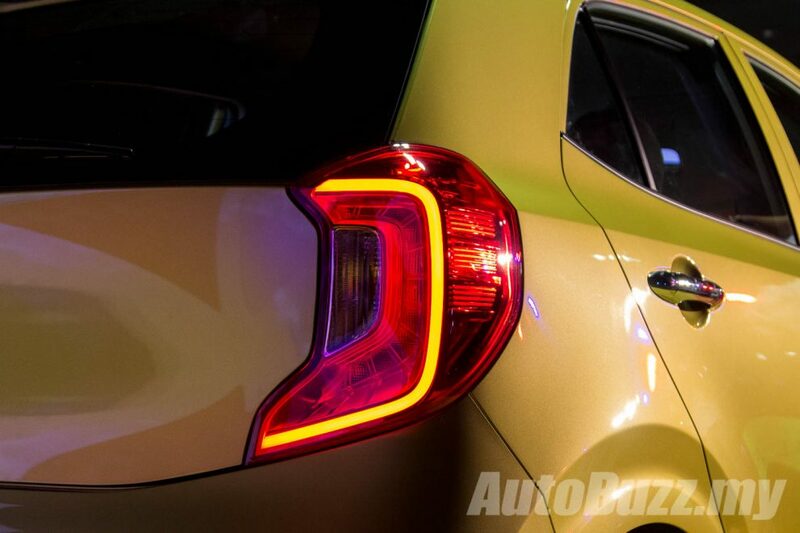 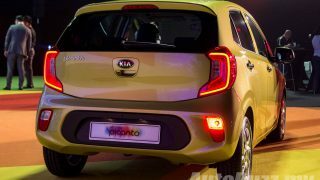 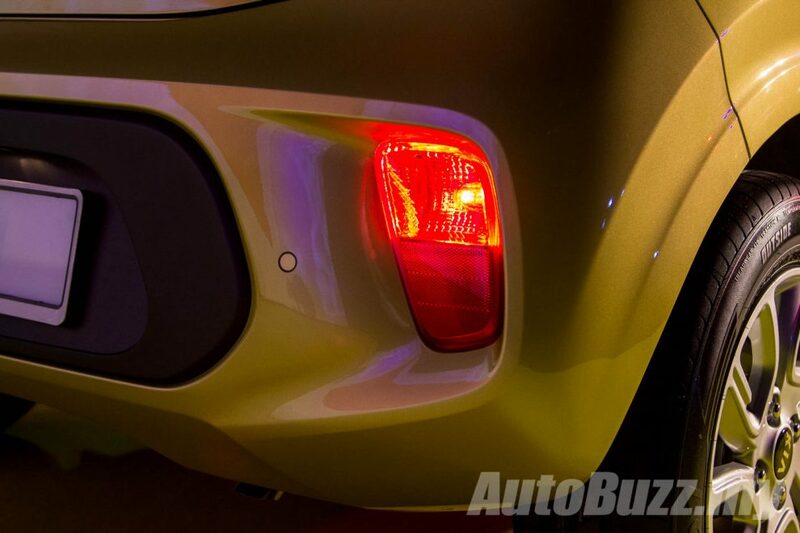 On the outside, projector headlamps at the front are standard along with Auto Light Control and LED daytime running lights while at the back, the Picanto gets rear LED taillights with fog lamps front and back. 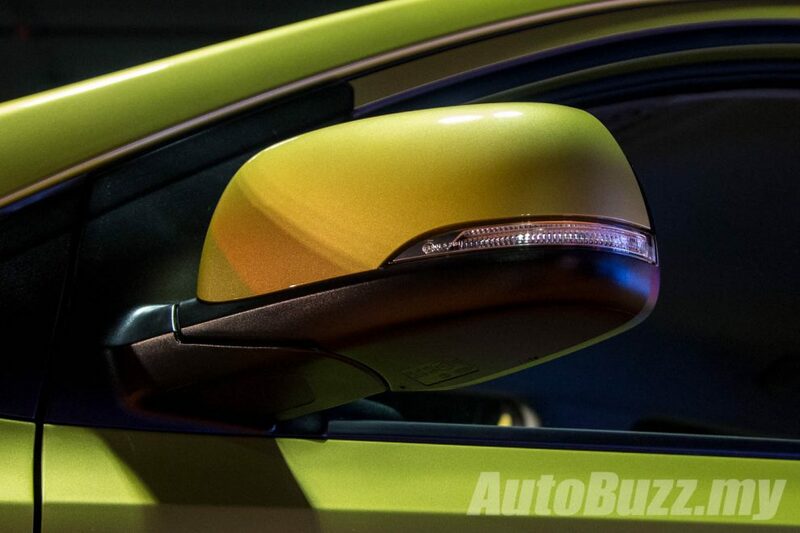 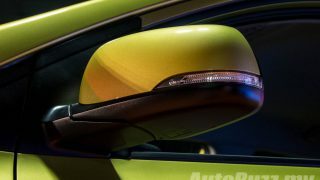 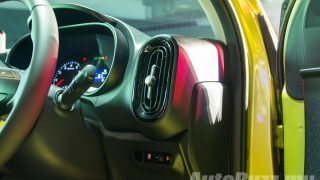 Its side mirrors come with LED turn signals and electric folding features on top of a dual-tone appearance. 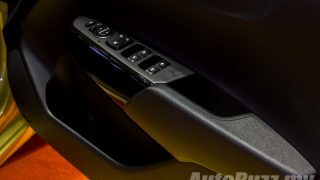 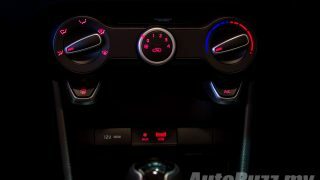 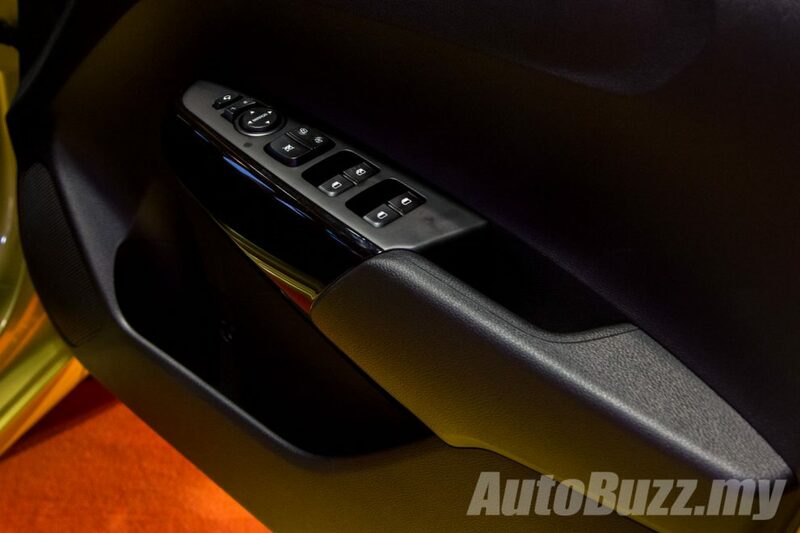 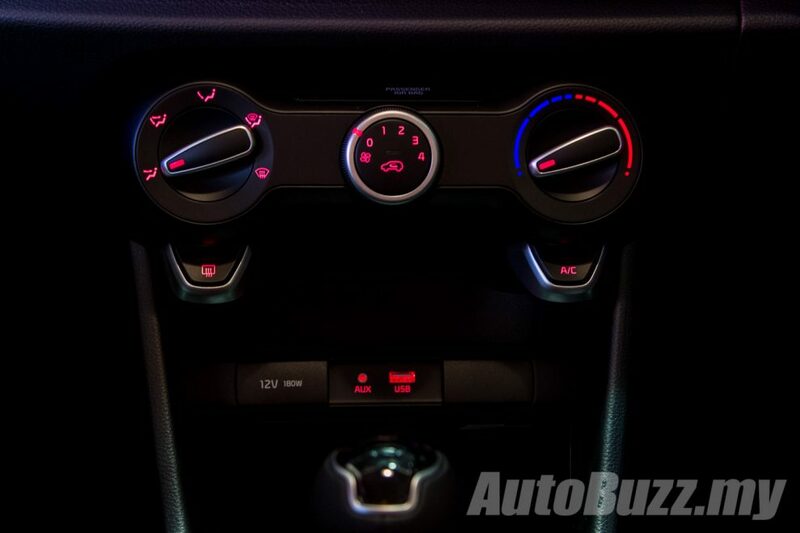 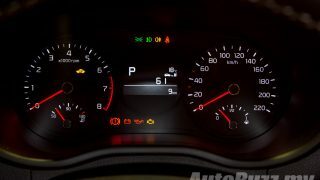 Push start system and keyless entry are also standard equipment. 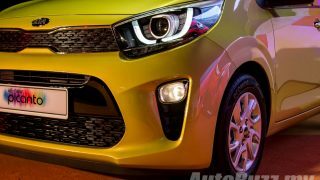 With the wheelbase extended to 2,400mm, increased by 15mm, the wheels are pushed further out to the corners of the car for a 25mm shorter front overhang, giving the car a more planted stance. 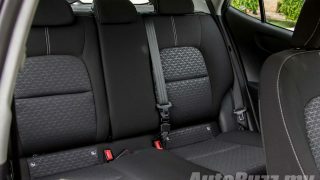 Inside features a more refined cabin with new materials and layout for a greater sense of quality and aesthetic appeal. 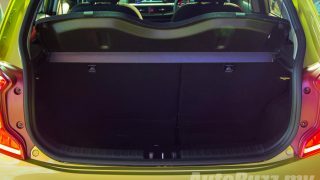 The seating height of the first row seats are reduced by 10mm and moved backwards by 5mm to improve headroom by 3mm and legroom by 15mm. 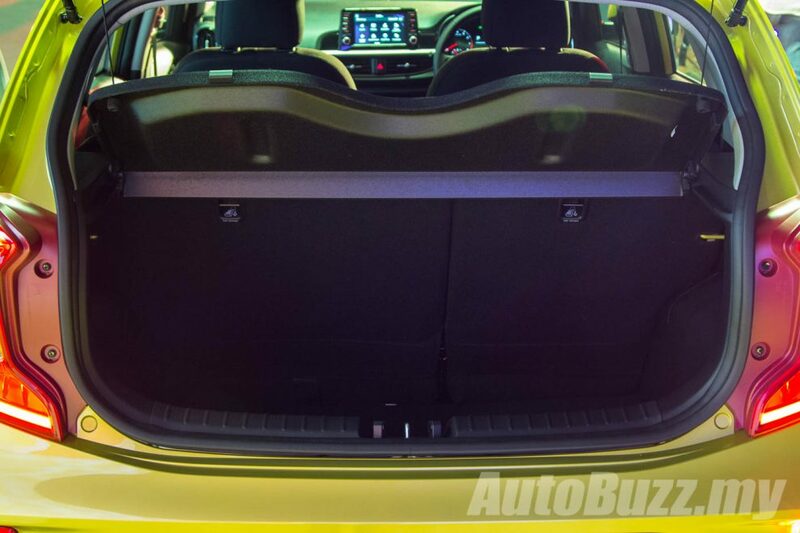 The optimised door trims in the front also frees up 10mm of shoulder room while the crash pad is now slimmer with its steering wheel moved 10mm upwards to increase knee and foot room. 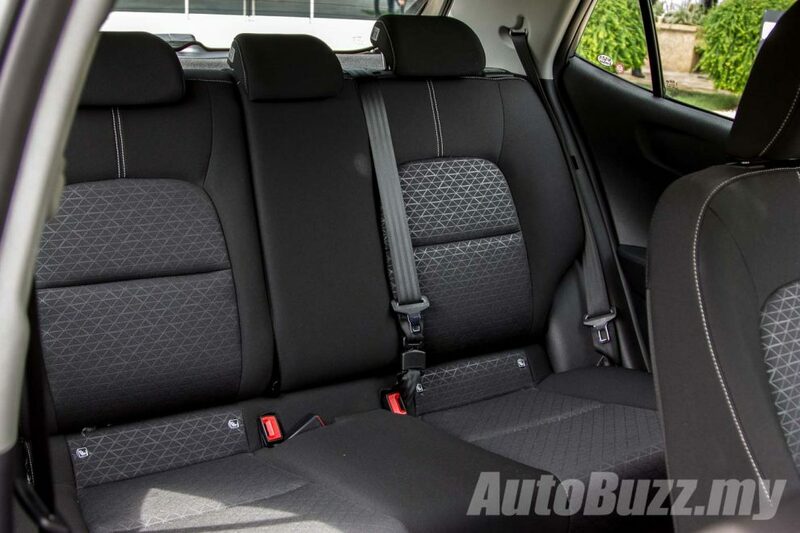 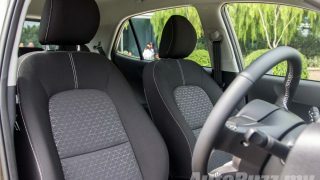 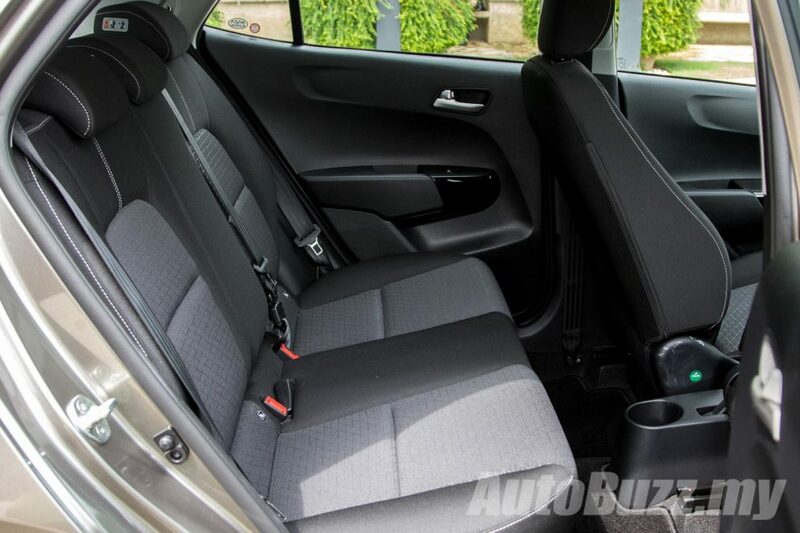 At the back, you get 255 litres with a total of 1,010 litres of bootspace with the aid of the 60:40 split folding seats. 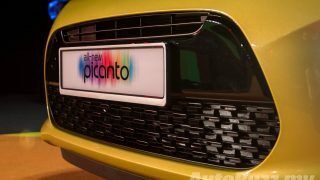 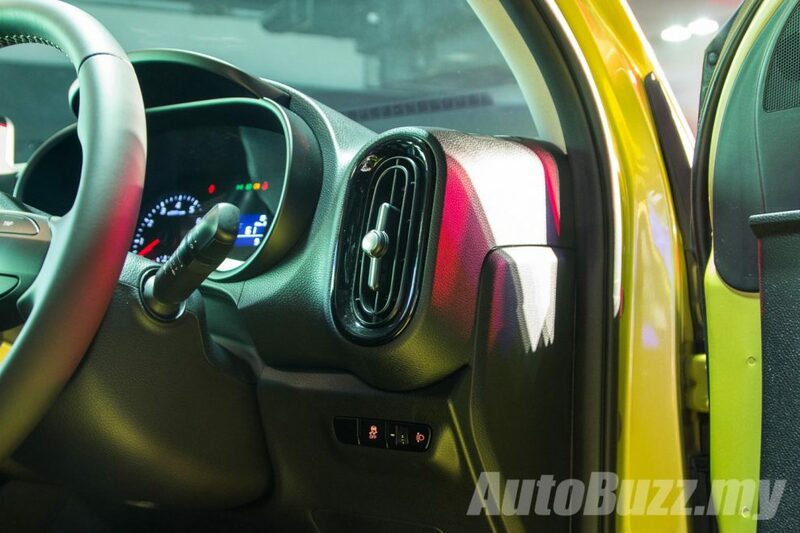 Features wise, the Picanto gets a large 7-inch touchscreen with Apple CarPlay, Android Auto and voice recognition features. 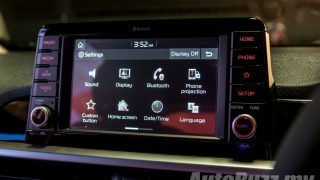 The infotainment system, which comes with reverse camera display is linked to six speakers along with Bluetooth and USB compatibility. 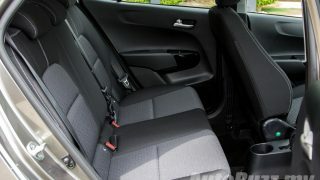 Its seats are of fabric material. 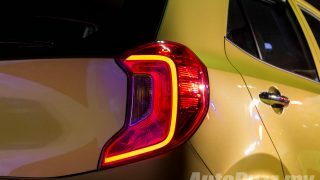 On the safety front, the Picanto comes with a suite of systems including six airbags (dual front, side and curtains), three parking sensors, ABS with Brake Assist, Electronic Stability Control, Traction Control and Hill-start Assist Control. 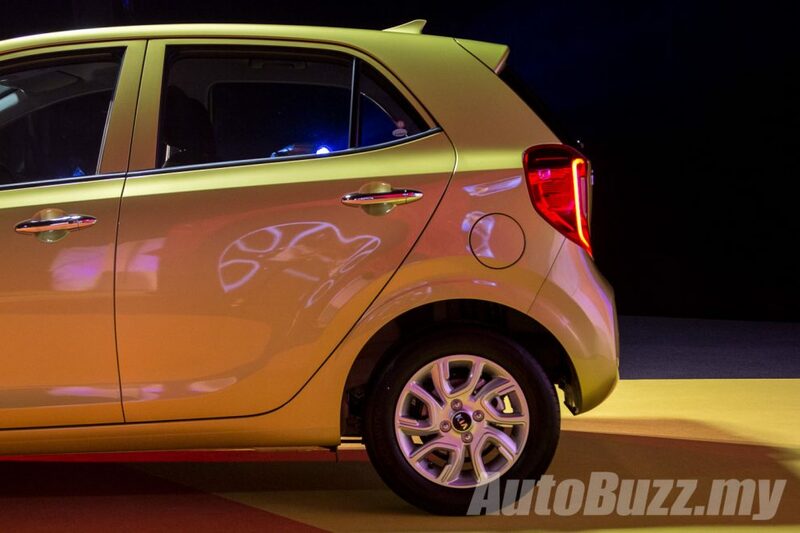 Despite being constructed with double the proportion of Advanced High Strength Steel (AHSS) compared to the outgoing model, the Picanto still weighs under a tonne at 983 kg. 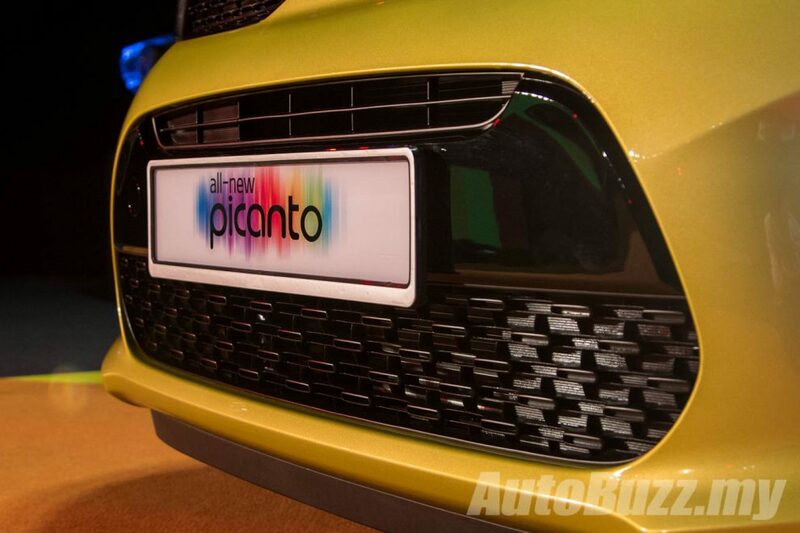 44% of the new Picanto’s bodyshell is cast in AHSS, increasing tensile strength by 12%. 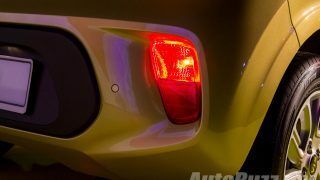 Torsional stiffness has also been increased by 32%. 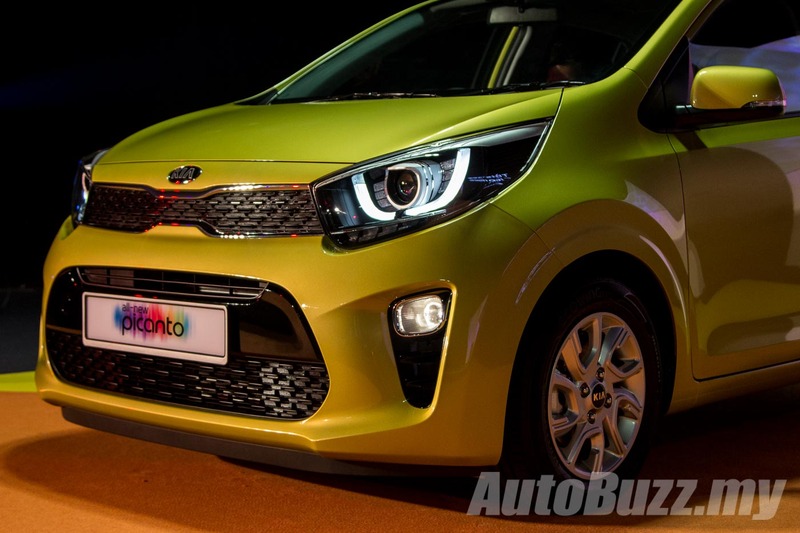 The Picanto comes in five vibrant colours – Lime Light, Honey Bee, Pop Orange, Titanium Silver and Clear White.